Welcome. Your access portal is located to the right. Demonstrating Summit Technical Solutions’ innovative solutions, STS Tracking, Reporting, Evaluation and Analysis Management System (STREAMS®) captures production, quality and productivity metrics, and enables STS employees to make informed decisions. Data produced by STS’s trademarked software is used to verify and authenticate decisions. With STREAMS®, STS ensures key performance indicators and acceptable quality levels are met. Summit Technical Solutions created an innovative solution intended to enable employees to make informed decisions and streamline data processing. 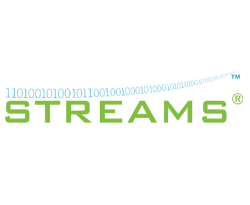 STREAMS®, STS’s trademarked Evaluation and Analysis Management System, captures production, quality, and productivity metrics. Data produced by this software is used to produce quality, time efficient, and cost compliant results. Through a consistent method of creating, managing, and expiring key documents as part of our STREAMS® tool and processes, we are able to focus on core operational functions. This tailored approach and technique guarantees optimal solutions – every time. STS’s proven Data Management and file operations approach provides accountability for records throughout their entire lifecycle. By taking a document lifecycle-centric approach to our Data Management work through STREAMS®, we are able to provide customers with a methodology of best practices to improve productivity and quality.